"These were our macaroni days." A Complicated Woman, is a beautiful book of poetry, celebrating revelations in life and love, a progression into the New Age. This book is dedicated to the Poet Kay Kinghammer best known for writing Stolen Kisses, Starlit Caresses: A Journey and the unforgettable line in the Epilogue "these were our macaroni days". Kimberlynne Darby Newton is a former university professor who began writing poetry to help with healing after a stroke. She has become the consummate Poet with a very considered style and is one of the greatest American Poets of the 21st century. A Complicated Woman is poetry in a series of revelations of the goddess, the Poet as Oracle, the word awake. Revelations in love and life, revelations in family. A creationist mythology that breathes light out of the darkness of racism and oppression. After a life of experience, a celebration of Zen and the wisdom of The Oracle, in a fantastical offering of the celebrated Poet's craft. A huge spiritus, her experience of love from her mother gives her all is, which is portrayed in poems that speak of her mother, her husband and her son and projects out into the world, a beacon of light in the dark night. There are a series of poems about her mother, her family which like all of her work, are rich and vibrant, like a wellspring. "Sisters" is a celebration of solidarity with women through the goddess. "Little Girl" is a lament about a child she knows. "Revolution" is about the love of her husband and exists within the violent imagery of a war won. "First Love" is a fantastical story of her first lover. "Lullabye" is for children growing into adulthood and the need to fight for love. "Flight of Flower Birds" is about the magic of hummingbirds. Each poem a gift of a story in celebrated language inside the spiritus of the Creator. The poetry comes from an empowered place of "us" and "us" as she raises her voice and our spirits from a place of embattlement against injustice. This poetry is a progression in Beat Poetry, short lines, writing stories in poetry in both the first and 3rd person. She invents new words and brings new life to the English language through Black meme from the southern U.S. A brilliant ensuite of poetry that underlines the importance of love, the celebration. The importance of love in longterm happy committed marriage and the importance of family. With the wisdom of loving people through conflict and darkness. 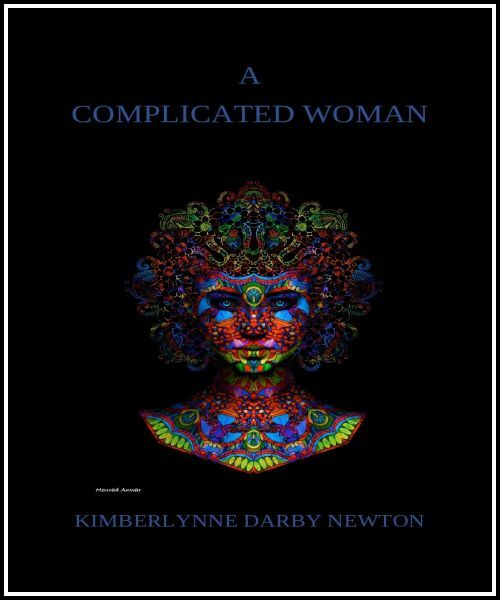 Poetry, the magic, A Complicated Woman by Kimberlynne Darby Newton.